It's important to idenfity the right features for your enterprise when evaluating next generation firewalls. Key points include ease of use, centralized management, integrated VPN, high availability, and the ability to stop advanced, sophisticated attacks. 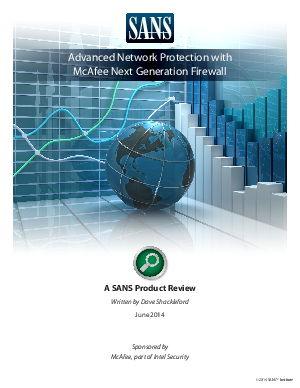 Read this latest SANS report as they look in depth at the McAfee Next Generation Firewall as see how it stacks up against demanding enterprise requirements.